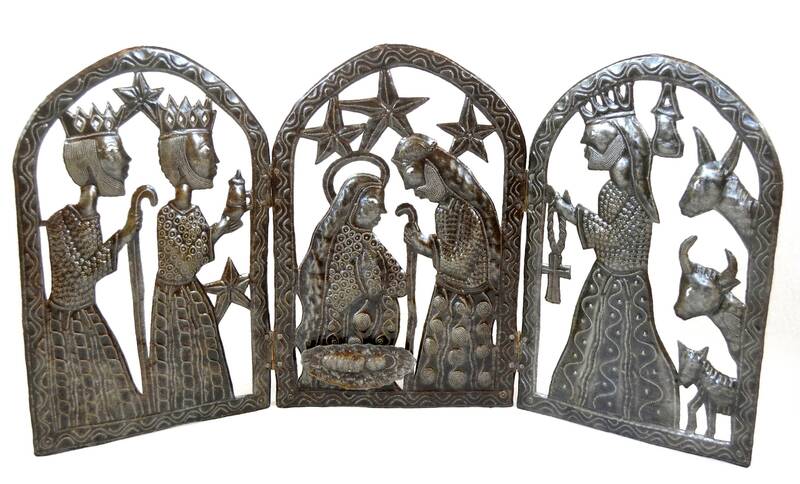 Tryptic Nativity for Christmas Haitian Metal Art 34" x 15"
A striking rendition of the traditional manger scene with the Holy Family, the Three Kings, and the stable animals in attendance. Created in hinged, 3-panel form, it is easy to store flat, but also appropriate for year 'round display. 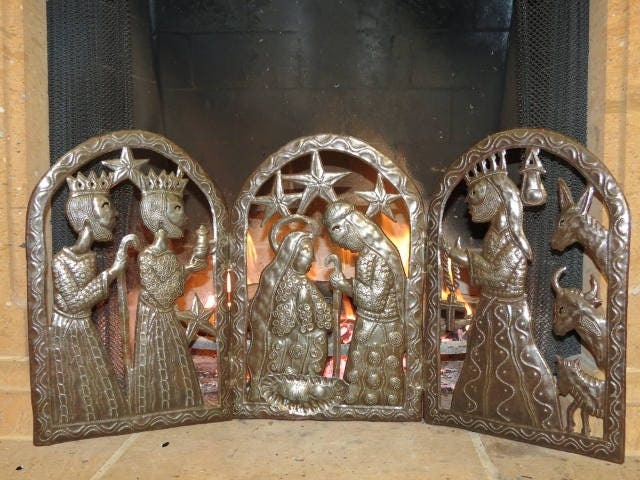 Made entirely by hand from a recycled steel drum, each triptych is an authentic work of original folk art.